Please choose one of the two delivery methods we have to offer. If you choose the "Shipped on CD" delivery method, the CD with serial number will be shipped by mail. If you choose the "By Download" delivery method an email with download instructions and your serial number will be emailed to your registered email address within 12-24 hours after payment has been verified. No physical product will be shipped. Level 2 is designed for production and skills training for those who would like to create more sophisticated designs, as well as a more complete set of tools. It will allow the user to learn a wide cross-section of stitch types and properties, and have enough freedom to create virtually any design. This is an upgrade version to go from level 1 to Level 2. You need to own level 1 first. If you do not own Level 1, you can simply purchase Level 2 (not this upgrade version). 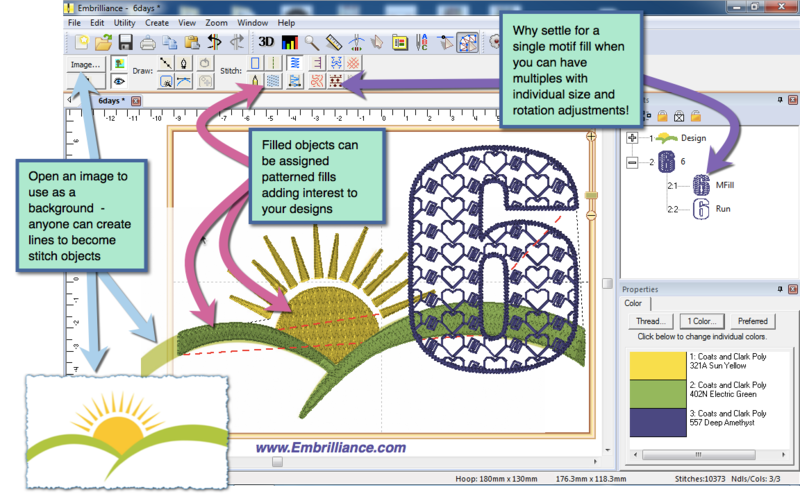 StitchArtist is a standalone digitizing software program to create machine embroidery designs from scratch. 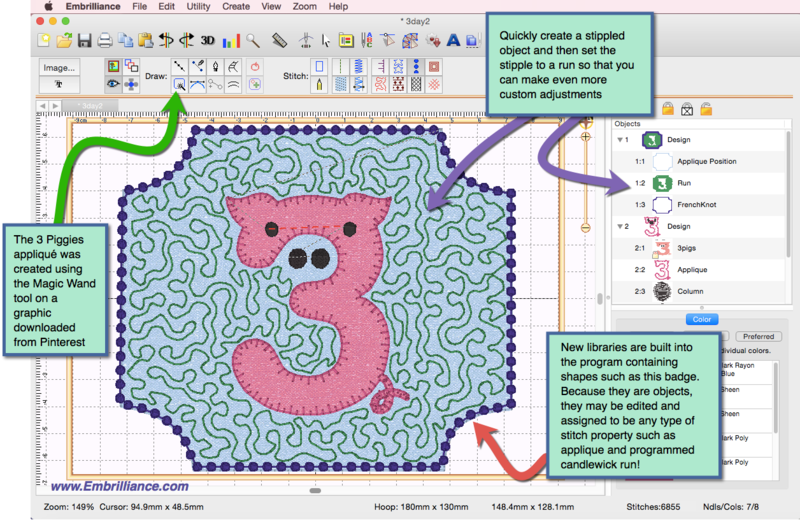 You start using existing artwork or by ‘drawing with stitches.’ You control the shapes, set the stitch type and properties, and StitchArtist generates stitches for you. 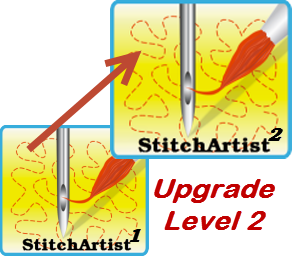 When you want to create stitches, that’s what it does. StitchArtist is a journey many years in the making, and has been designed for ease-of-use and digitizing education. The process of design creation, commonly called ‘digitizing’, requires a skilled person using a specialized tool. StitchArtist is that tool, but it is designed to take the difficulty out of the software, leaving the user to concentrate on their designs. 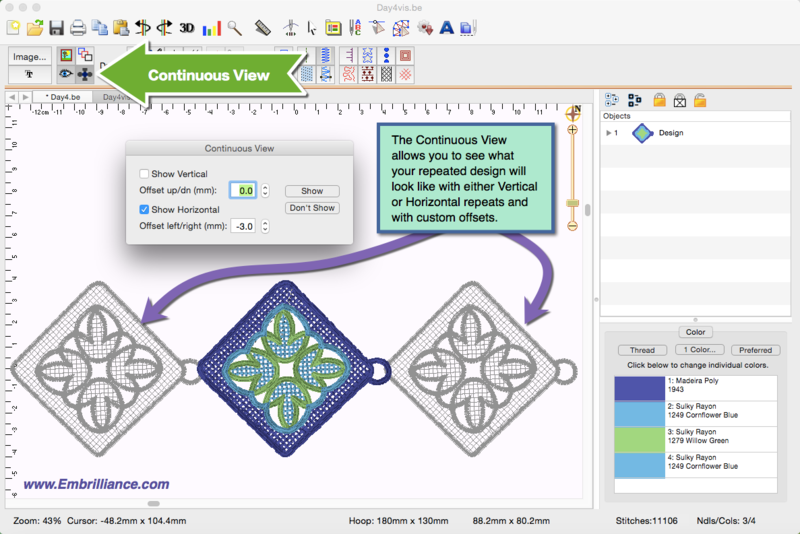 In a radical departure from the typical digitizing interface, StitchArtist uses a single mode to draw, set stitches, size, edit, rotate, sequence and set properties of design objects. 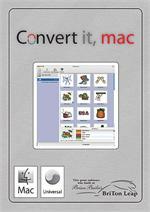 It is easy and intuitive once you know the very basics, which are described in detail in the user guide. StitchArtist is part of the Embrilliance Platform, therefore it shares one program with other titles, such as Essentials. This means that as you add titles, your features grow without having to switch between programs! StitchArtist is not dependent on another program; you do not need Essentials or Enthusiast, etc. The platform works with any embroidery machine capable of using a file off the computer; it can read and write at least one format that every embroidery machine understands: including all Brother/Baby Lock PES format, Janome JEF and SEW formats, Viking SHV and HUS formats Pfaff PCS and VIP formats, Bernina ART format, Commercial .DST, etc. Level 2 includes Level 1 and is designed for production and skills training for those who would like to create more sophisticated designs, as well as a more complete set of tools. It will allow the user to learn a wide cross-section of stitch types and properties, and have enough freedom to create virtually any design. Stitch generation is instant and automatic. 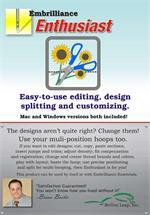 There are no mode changes for selection, editing, coloring, moving, sizing, rotating or adjusting properties. You can work in any number of display options. No need for a specific one to be used during any process. 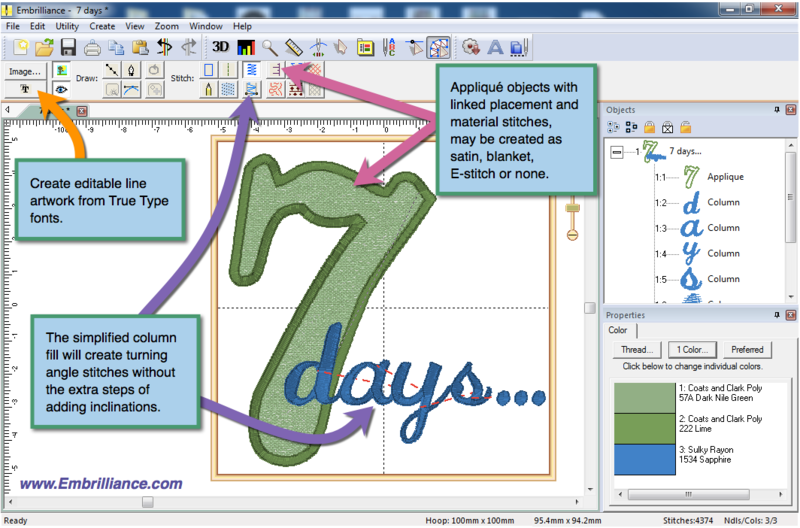 Users unfamiliar with Bezier can use a simulated spline system which is easier to teach, and can be helpful in the early instruction process. Over 200 outlines that can be used in any stitch type, including applique. Add the serial number using the menu Help->Serial Numbers... Type in the serial number and click 'Set'. As of this writing, Windows 8.1 and Mac OSX Yosemite are the lastest versions of those operating systems. The Embrilliance platform is compatible with both. How do you use StitchArtist? Most users will begin by importing a background image – some artwork that they want to embroider. Then you create ‘objects,’ which are shapes that will be stitched, over the artwork. You decide the shapes, their order and their stitch properties. Those who are familiar with any modern drawing tool will feel comfortable with StitchArtist as it uses a Bezier model of shaping. When assigning stitches to shapes, you have freedom to change your mind at any time; any shape can be made into any type of stitch as easily as clicking a button. Edge Run, Parallel, Zig-zag. With control of length, inset and density. Freestanding (Level 2+) for Richlieu bars, etc. Color styles including PES traditional, User-defined and Keep Color for multi-needle machines. Can be converted to a Run, and then a Motif Run for virtually unlimited possibilities. 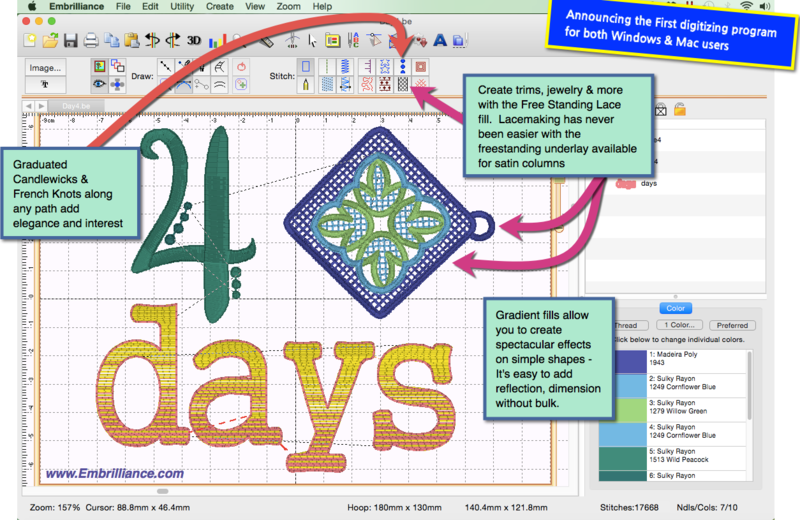 Single-run style for creating even grids for a quilted look on linings, etc. Over 200 outlines added to the library which can be used in your design. Are you ready to become a StitchArtist? Visit our store! 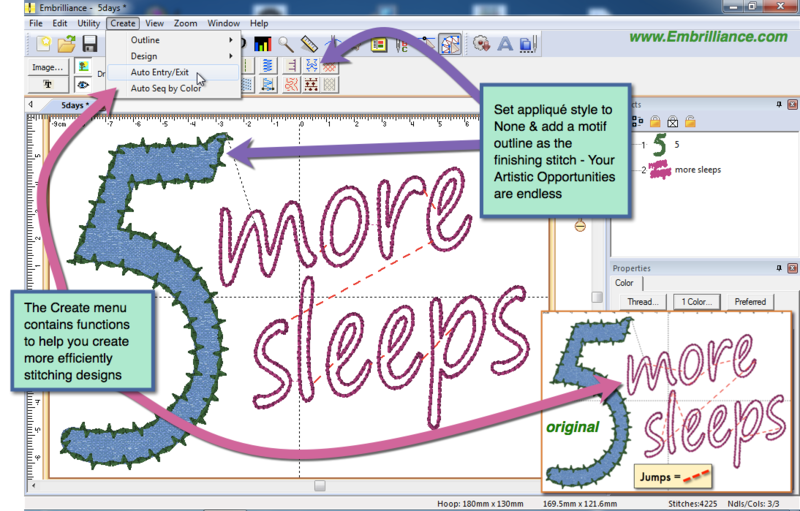 StitchArtist is a multi-level approach to machine embroidery design creation software. It has the easiest user interface that we have seen or could imagine. It makes the normally difficult process of design creation easier. It won't make you an expert overnight, but you'll be able to use it quickly and as you grow in your skills you'll be creating designs more easily than ever before. It is designed to go hand-in-hand with embroidery digitizing instruction, so that you can learn to create with lots of people offering inspiration and guidance. It uses a normal Bezier interface for drawing, and a simple spline mode for those who are afraid of Bezier. It let's you draw, create stitches, sequence, set entry and exit points, edit, move, size, rotate, adjust properties all within one mode. No switching around or clumsy tool selection. Q: Does it stand alone? StitchArtist is part of the Embrilliance Platform, so it works together with other Embrilliance products in that platform. Q: Do I need Essentials or Enthusiast? It does not require Essentials, Enthusiast or any other Embrilliance title. It does not do what Essentials or Enthusiast do. They are their own products. Please don't ask about 'upgrading' from Essentials; you can do that -- purchase StitchArtist. If you don't have Essentials, what do you do? Purchase StitchArtist. See how easy we've made it! Q: I need Mac and Windows versions. Do I pay extra? You can if you want to, but your license for Embrilliance products includes the Mac and Windows versions, mix and match, on as many computers as you own. Q: How do I move it from one computer to another. There is no dongle. You don't need to worry about any of that nonsense. Please don't share. If you do and we notice, we have to deactivate the serial number, and that would be a shame. Q: What machines is it compatible with. Virtually every embroidery machine on the planet can read one of the file types the platform can write. The only machine limits are those where the software needs to run the machine directly. Even then, in their software you can load the files created in the platform. Q: If I buy Level 1 today, and want Level 2 in the future will there be an upgrade? No, you're stuck. Kidding! Naturally we will have an upgrade process. Q: Can I trade in my other software? If you don't want it, neither do we, no matter how much it used to be worth. Q: How does it compare to (insert brand here). We don't know because we can't figure out how to use that program. They're too hard to use and too expensive for us to bother with. Q: How do the levels compare? We have written an extensive product comparison document that flags all the features we could think of. 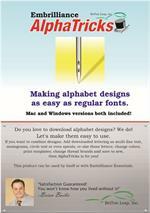 It's a PDF download on the embrilliance.com/downloads page, titled PDF Manual. There is so much going on, that a simple checklist would be lengthy. We'll be making an effort to pare it down, though. Q: Will there be more levels? Yes. If you read carefully, you will find there are hints as to what they might contain. Q: Can it convert a photo of my cat? No, this is not a photo-stitch product. There are plenty of those out there. Q: Can this convert a logo? No. This is not an automatic digitizing product. There is no such thing as 'conversion' from an image. Autodigitizing folks have been working hard at that for years, and the results are okay for simple images perhaps, or a one-off creation. But there is no substitute for a skilled user with solid design creation software. Q: Does it run on iPad? No. iPad is not a Mac. And iPad is missing a mouse, which would make it very difficult to edit outlines. Yes. Just don't buy a Surface RT, which is not an Intel tablet. The Surface Pro is. Sure. We will be current with Mac OSX for the foreseeable future. Q: Are updates free forever. If we fix something, yes. If we add a feature, maybe. If something sounds too good to be true, it probably is. When they change the name and now you have to pay, its a bit deceptive. Caveat emptor. 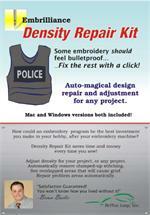 Over the 15 years our company has been making embroidery software we've had one paid upgrade to an existing product when going from Windows '95 to Windows Vista, which was a total rewrite and we added whole sections to the program.